A iceberg the size of Delaware is dangerously close to breaking away from Antarctica. According to NASA, a big crack in the Larsen C ice shelf grew dramatically at the end of last year. And now, the nearly 2,000-square-mile section of the ice sheet is hanging on by a thread — a flimsy 12-mile stretch of frozen water. Experts think it won't be long before it breaks off. As one scientist told the BBC, "If it doesn't go in the next few months, I'll be amazed." And when it does, it could create one of the biggest icebergs ever recorded and might lead to the collapse of the entire Larsen C shelf. Weddell seal and pup swimming underwater in Antarctica. The Marbled Rockcod (Notothenia rossii) copes with the icy waters of Antarctica by means of a biological antifreeze in its body fluids, Antarctica. Antarctic krill (Euphausia superba), key species in the Antarctic ecosystem. Grows to 6 cm and occurs in densities ranging up to 30,000 in a cubic metre. Unidentified large jellyfish in brash ice, Cierva Cove, Antarctica, Southern Ocean, Polar Regions. Icefish in Antarctica have no scales or haemoglobin, so their blood is white. Antarctic Sea star (Odontaster validus) in Antarctica. Antarctic Sea urchin, (Sterechinus neumayeri) with camouflage attached, Antarctica. Antarctic Limpet (Nacella concinna) in Antarctica. Barbed plunder fish in Antarctic underwater. Antarctica, Cuverville Island, Underwater view of Comb Jellyfish swimming beneath ice along plankton-filled shallow water. Orange yellow anemone surrounded by brown algae, Antarctica. Two yellow sea stars and white worm strands, Antarctica. NASA says if and when the mammoth iceberg breaks away and melts, it won't make sea levels rise, simply because it's already floating. But the Larsen C shelf prevents other glaciers from reaching the ocean. 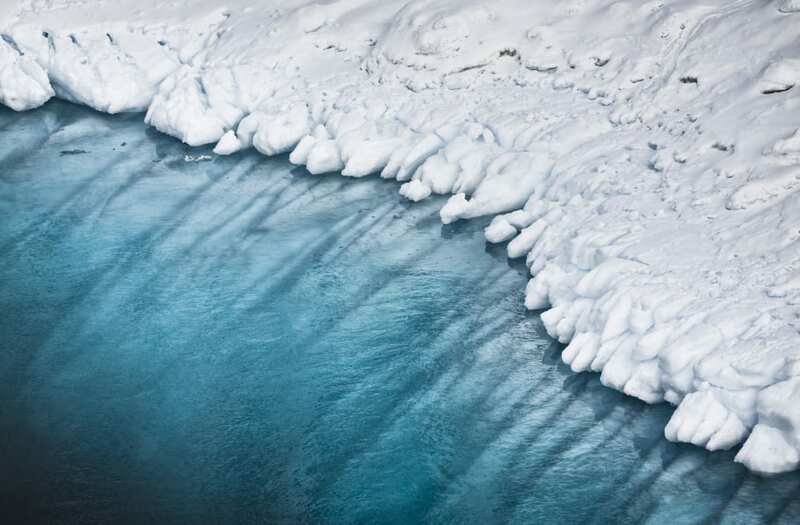 If the whole shelf breaks up, those glaciers could contribute to rising sea levels. If researchers' estimates are on track, the ice the Larson C shelf is holding back could eventually melt and increase global sea levels by almost 4 inches. That's a lot.